For me Sunday’s Big Game is about far, far more than football. It all about the commercials and the food. 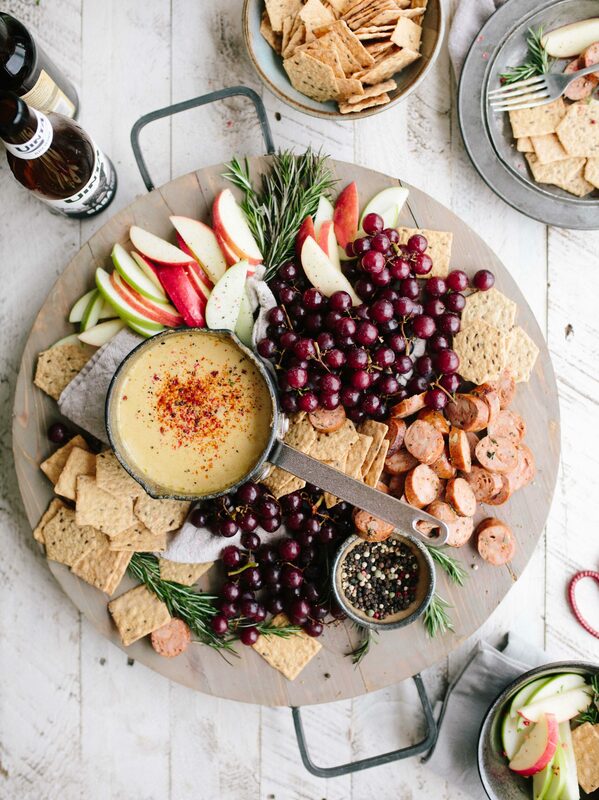 Plain and simple – I’m the girl who loves watching the advertising campaigns roll out with delicious snacks in hand. Still figuring out your menu? We’ve got you covered with these 5 recipes that are both healthy and delicious (because we have wellness goals that are still going strong). Give me all the olives, roasted veggies, cheese, and meats. This platter is full of variations and provides something for everyone. If you’re over wings and pizza on game day, this recipe is for you. Say hello to one of my standbys. 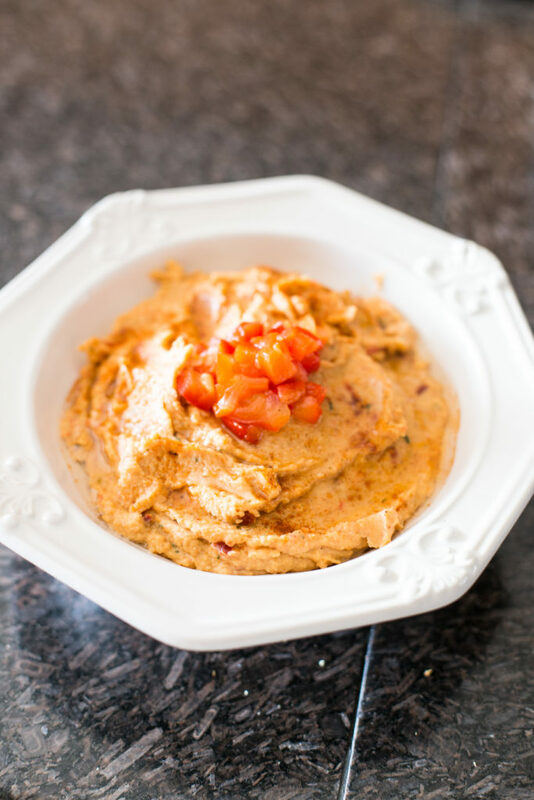 Hummus is delicious and you can definitely go store-bought if you like. 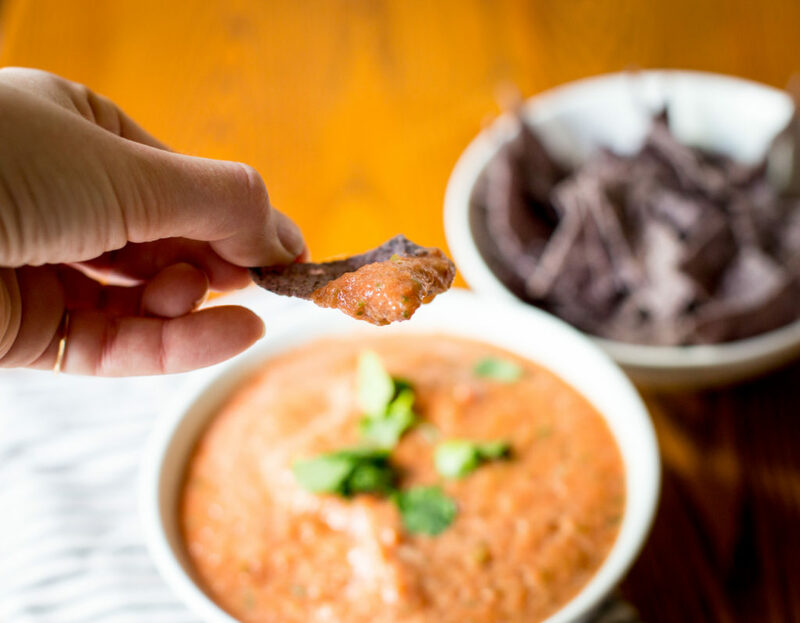 This recipe is amazing and provides a fantastic option that makes for a perfect dip. Paired with fresh pitas and veggies, it offers a lighter take on game day food. If you’re going to a party there’s nothing like bring chips and salsa. It’s a classic that can’t go wrong. We love these on tacos, nachos, and even as the star of quesos. Needless to say its a favorite that can be made with 5 minutes in a blender. (It’s apart of our weekly meal prep of sauces and something we’re pretty much obsessed with. While we’re all about the concept of nachos, we love this Greek take even better. 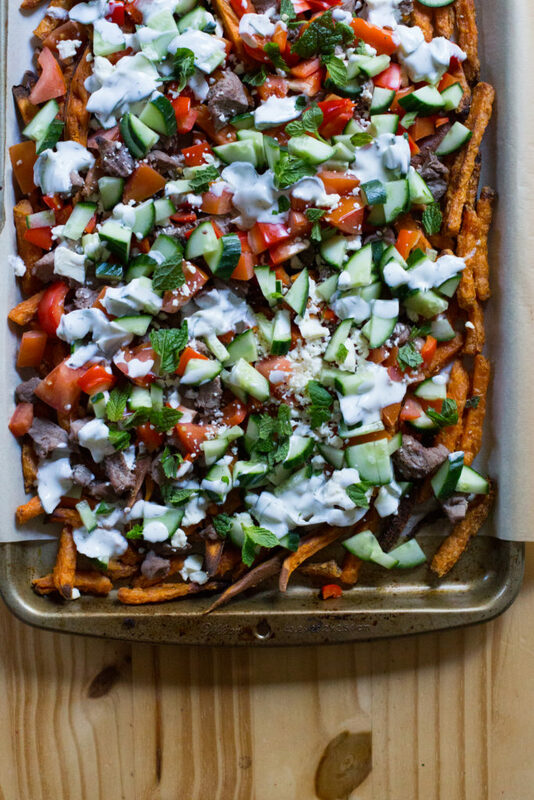 Lightening it up with a bed of sweet potato fries, it’s loaded with delicious veggies, homemade tzatziki, and all the feta cheese. It’s fresh, light, and delights a crowd as its gorgeous. As a kid I was obsessed with bagel bites. Remember the bite sized pizzas with the toppings? These were one of my favorite lunches over the summertime. This is our lightened take. 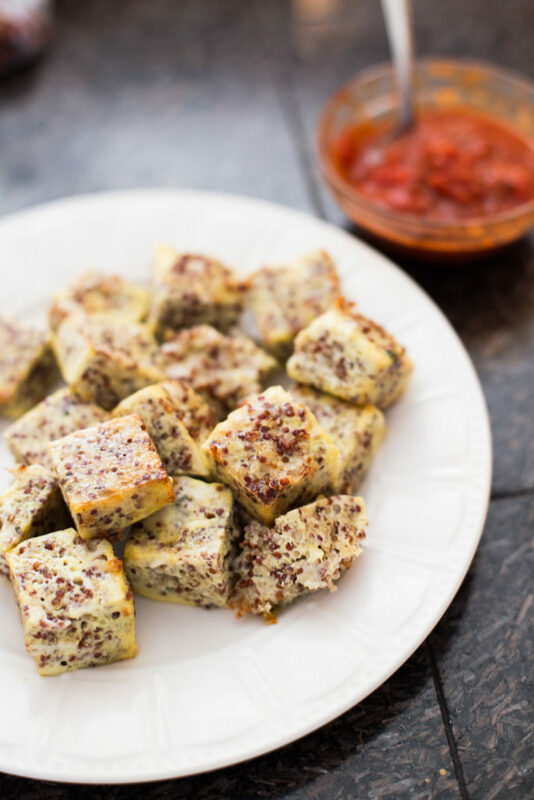 Filled with quinoa as the base and held together with cheese, they’re the best parts of my childhood while filled with protein. Dipped in a fresh marinara sauce, it’s all the nostalgia but so much better. Move over to the lemonade in a bottle, these cocktails are everything. 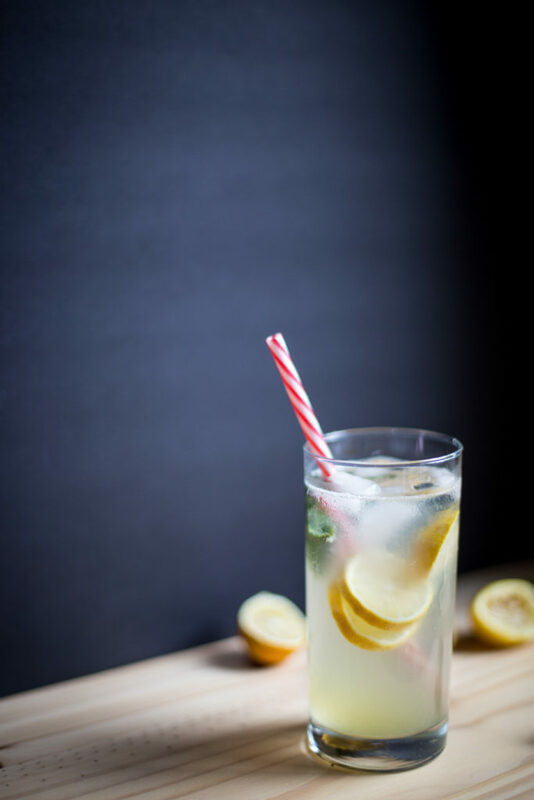 Finished with a round of fresh lemon and sprig of basil, it’s a bright and sunny cocktail that is delicious. If you’re not a fan of gin, you can always use vodka instead. It’s blood orange season, one of my favorites of citrus season. These cocktails are both stunning and ridiculously good. 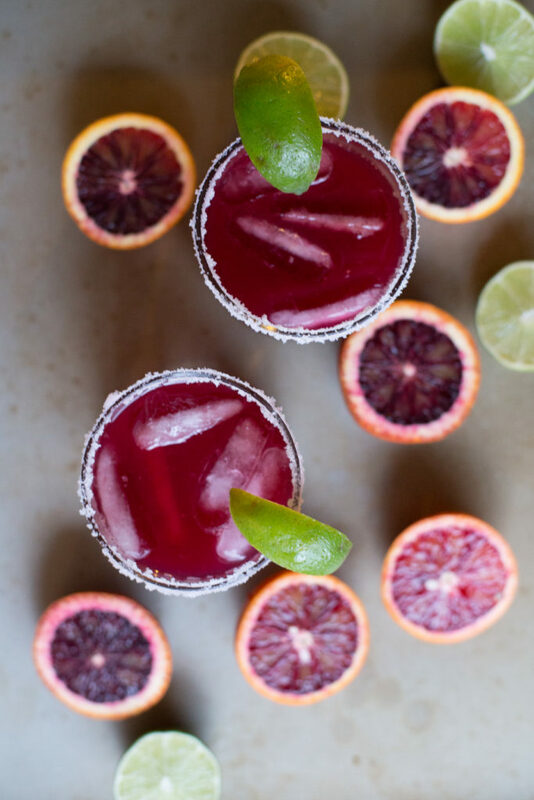 Yes, they’re the most stunning deep fuchsia color, but also have the purity in flavor unlike most margaritas. 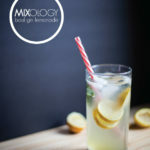 Finished with tequila and orange liqueur, it’s robust, with layers of flavor, making this cocktail a must-have. Cheers to an amazing game day everyone!